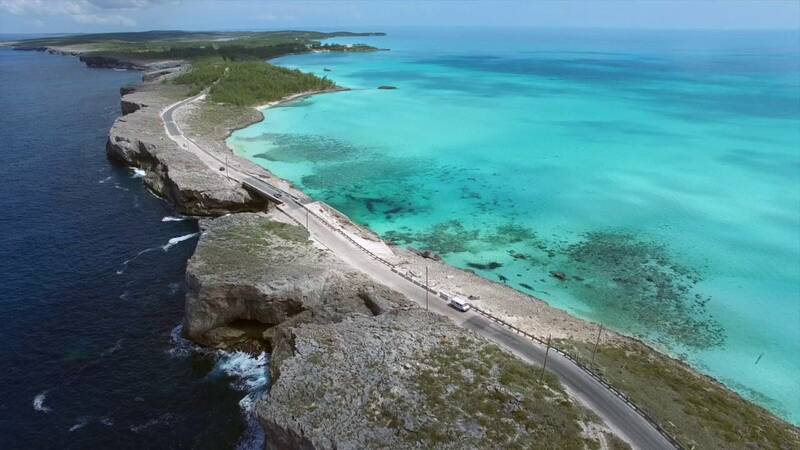 Eleuthera, Bahamas is home to one of the most beautiful natural wonders in the Western Hemisphere. tourist spots on the island. The dark blue waters of the Atlantic Ocean and calm turquoise waters of Exuma Sound in the Caribbean Sea meet at the narrowest point of the island. This is the only place in the world to experience this profound contrast when very different bodies of water meet. 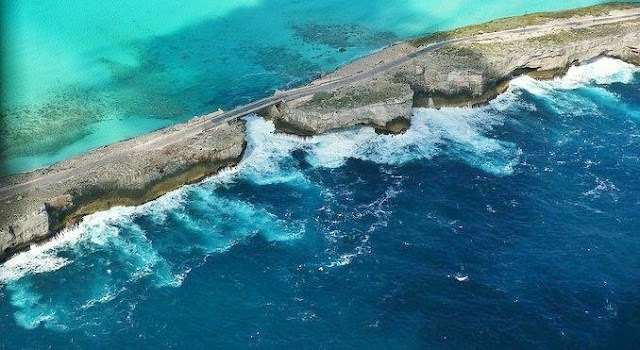 The Caribbean Sea and Atlantic are separated by a strip of rock that is just 30 ft wide! The natural stone bridge has connected North and South Eleuthera for centuries, and over the decades it has been damaged by annual hurricanes. In 1999 the original rock bridge was completely destroyed by Hurricane Floyd, and a concrete bridge was built over the original rock. 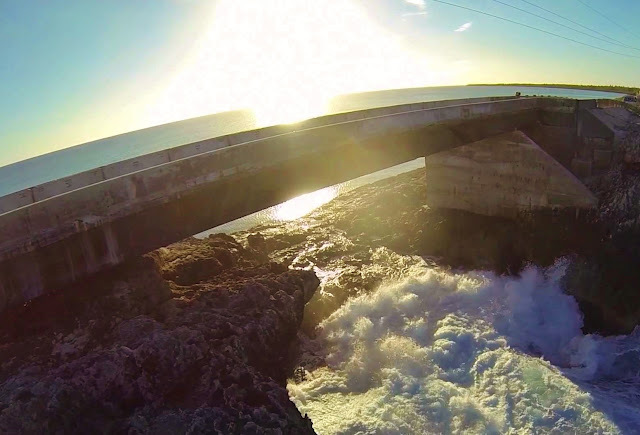 Huge waves and surf can arrive suddenly and wash over the bridge. There are no reefs to break up the raging surf along with Atlantic side, and these rogue waves have been known to wash people and vehicles out into the ocean. It is advisable to check weather conditions before visiting the area, and tourist should be careful on the rocky cliff areas when taking photos.